The capital of the People's Republic of China is the political and economic heart of this vast country and boasts its most outstanding landmarks and monuments including the likes of the expansive Tiananmen Square, the labyrinthine Forbidden City, and part of the iconic nearby Great Wall of China. Holidays in China come in a million flavours. Book hotels in China and range over thousands of miles from dynamic coastal cities to the raw natural beauty of the western interior. A Beijing city break can mean travelling back in time to the city’s historical sites or a glimpse of the future at a gallery or fashion show. Book a Beijing hotel to find out where China has been and where it’s going. Shopping in Beijing is mainly about hitting the street markets or mega shopping malls. Virtually without exception, bargaining is the norm here and you should not even feel awkward when asking for a discount in a swanky, fixed-price store. Wangfujing and Xidan are the main shopping areas in the city and are near the center. Tiananmen Square and the associated Forbidden City are the main sights in Beijing and attractions that every visitor should check out. The sheer dimensions and feelings these landmarks evoke are worthy of a trip to the Chinese capital alone. Beijing has all types of entertainment options that range from buzzing markets and parks to the popular drinking area of Sanlitun, with its expat-centric pubs. Many people simply enjoy ambling around Tiananmen Square as a form of entertainment and checking out the array of monuments. Beijing is safe, yet visitors occasionally get caught out by scammers and touts, with Tiananmen Square and dodgy buses to the Great Wall being particularly noteworthy. Fake money is a problem in Beijing while the traffic on the major roads in the city is horrendous. 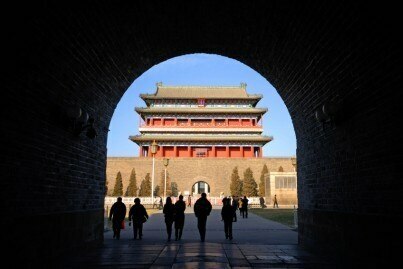 It is best to avoid the big festivals holidays when traveling to Beijing. Beijing has thousands of eateries of every description in all areas of the city, ranging from typical, traditional Chinese holes in the wall to market stalls and food courts to full-blown Western restaurants. Chinese noodles and rice dishes are ubiquitous while the very best local places offer expensive yet delicious Beijing roast duck and shark fin soup.